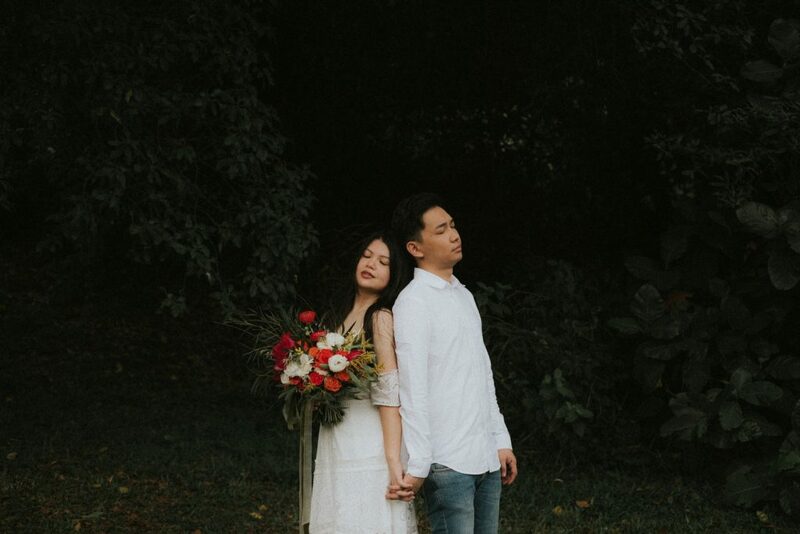 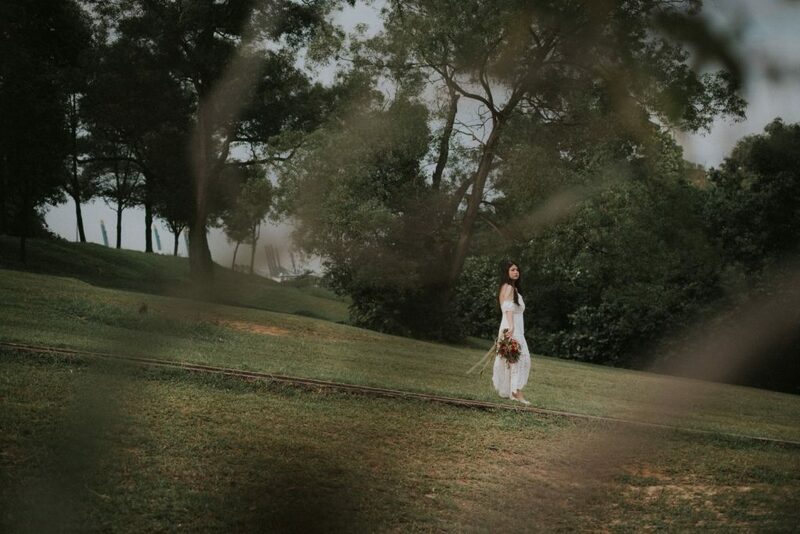 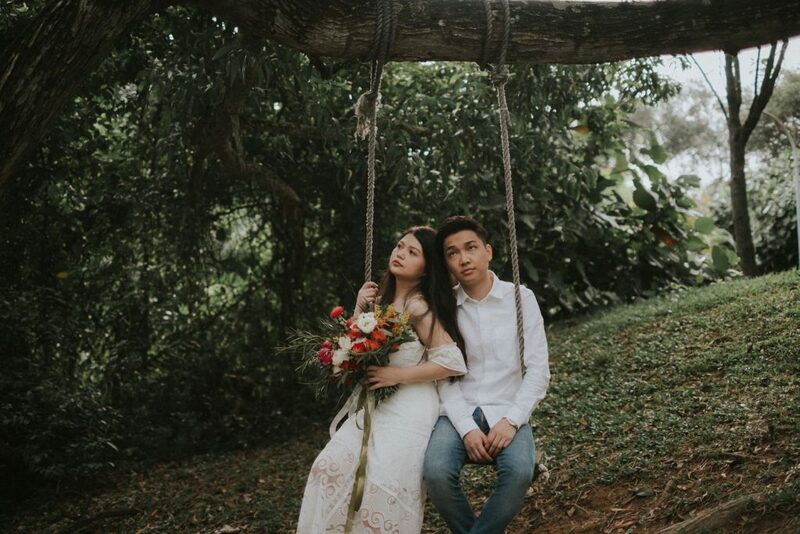 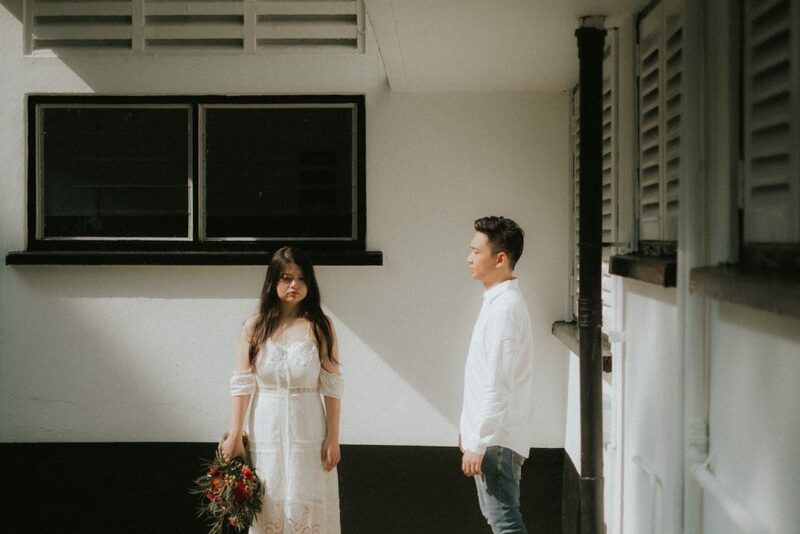 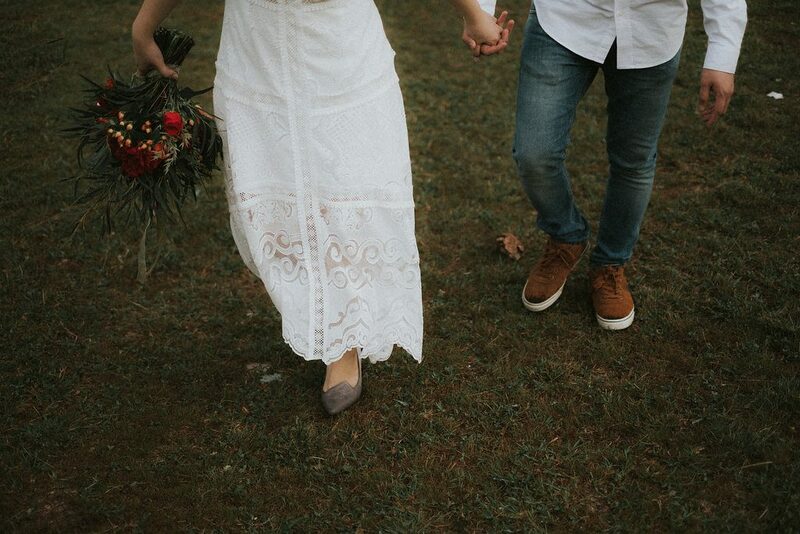 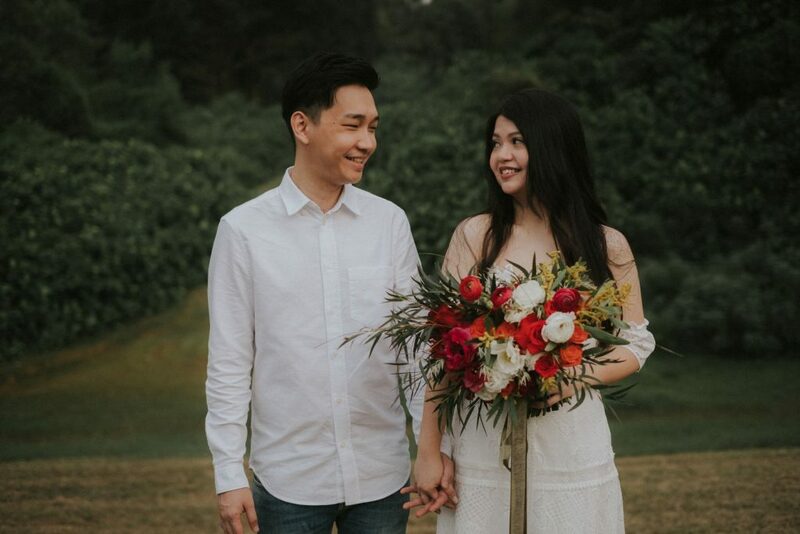 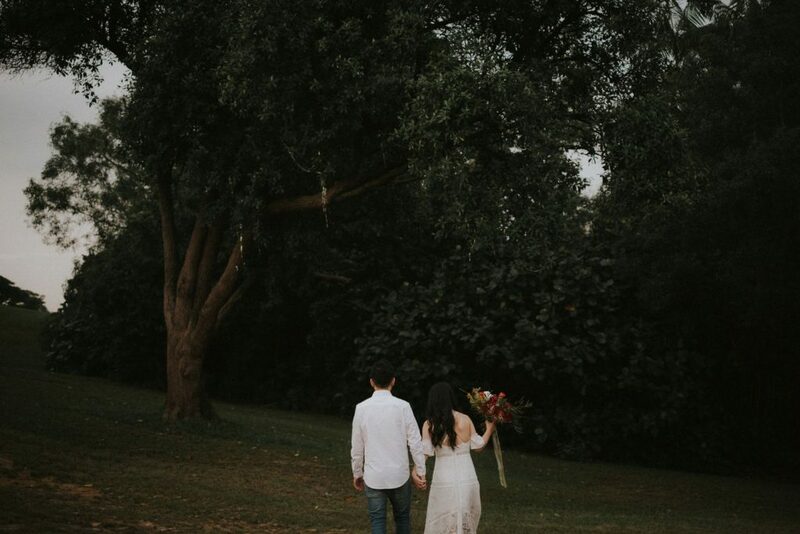 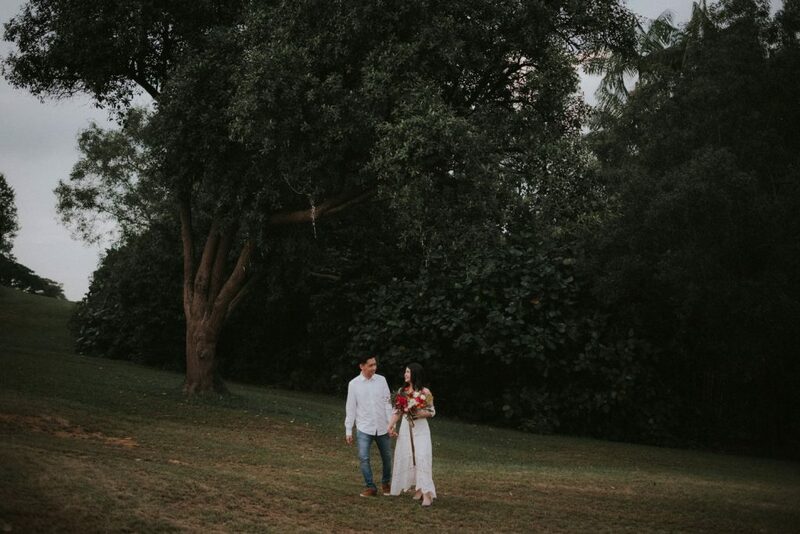 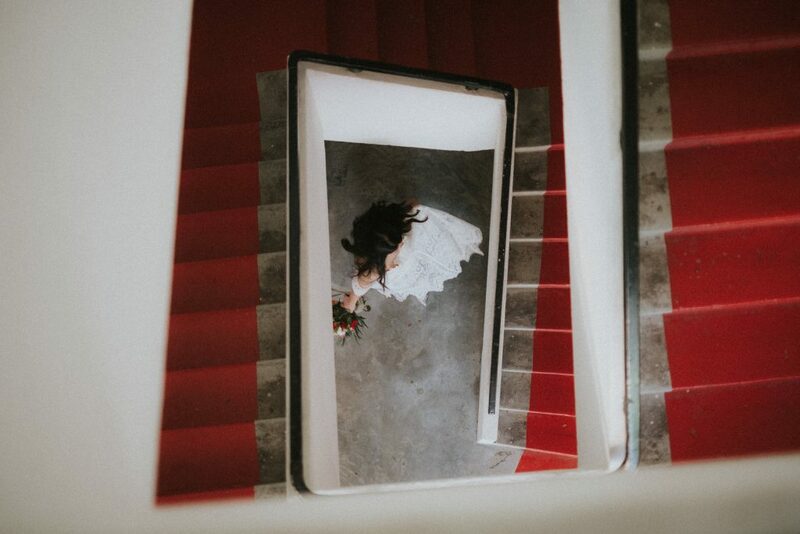 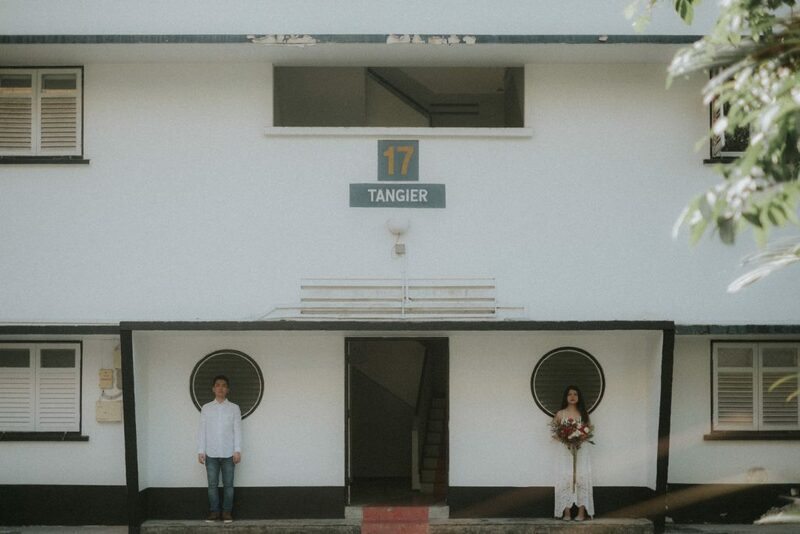 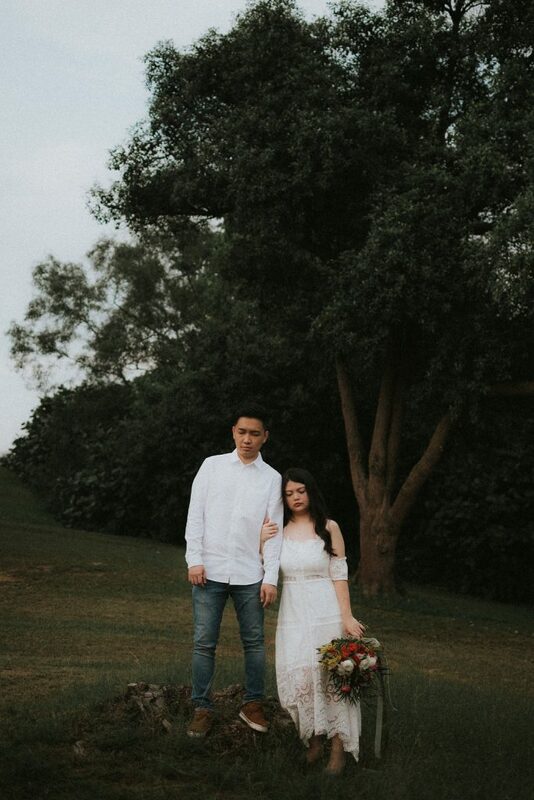 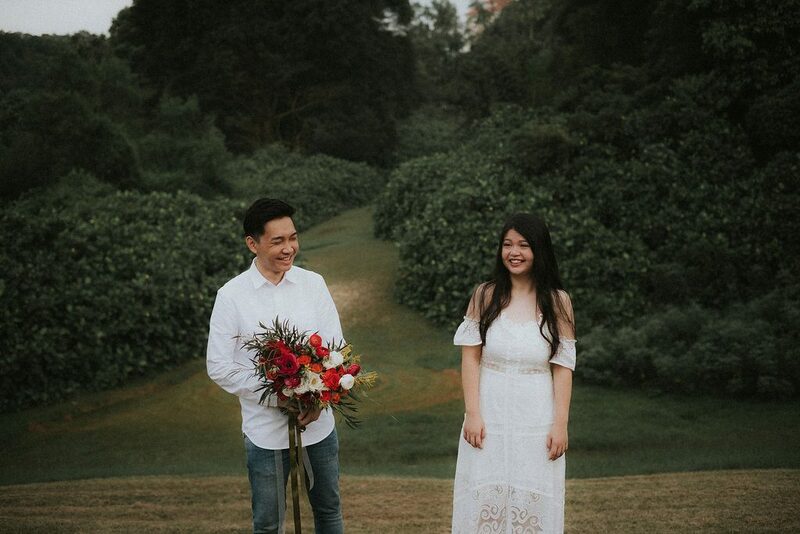 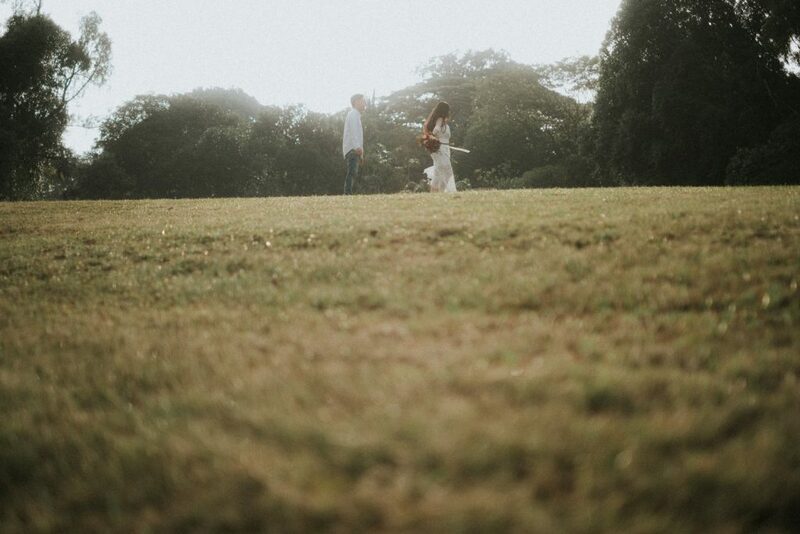 Free-spirited, wild, rustic – three adjectives to describe Wei Yang and Jiayan’s pre-wedding photoshoot. 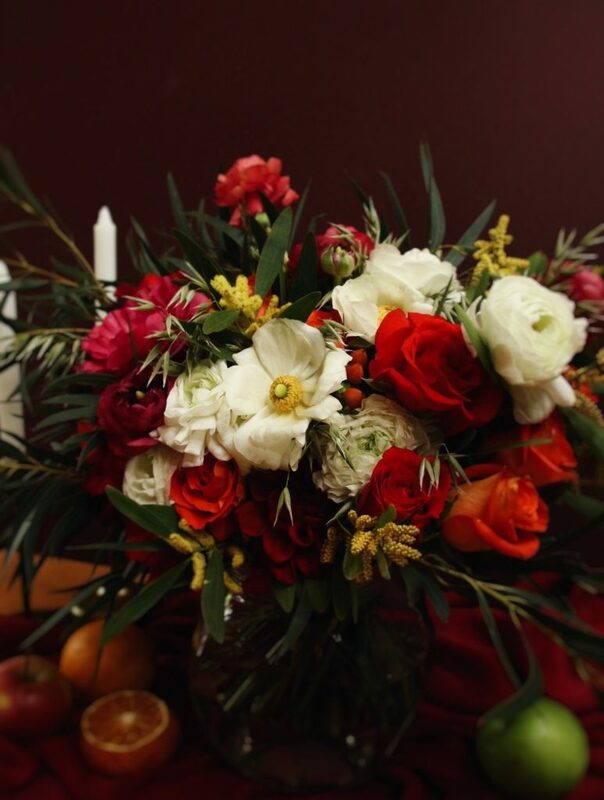 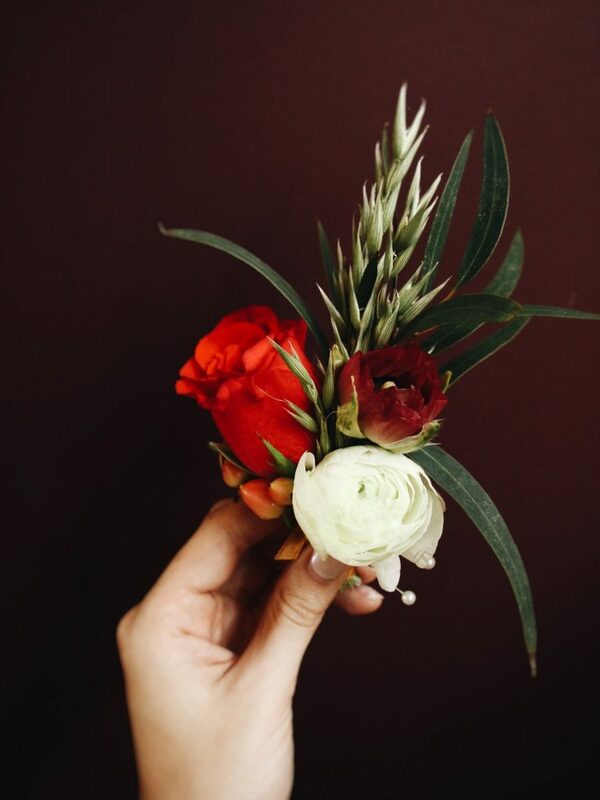 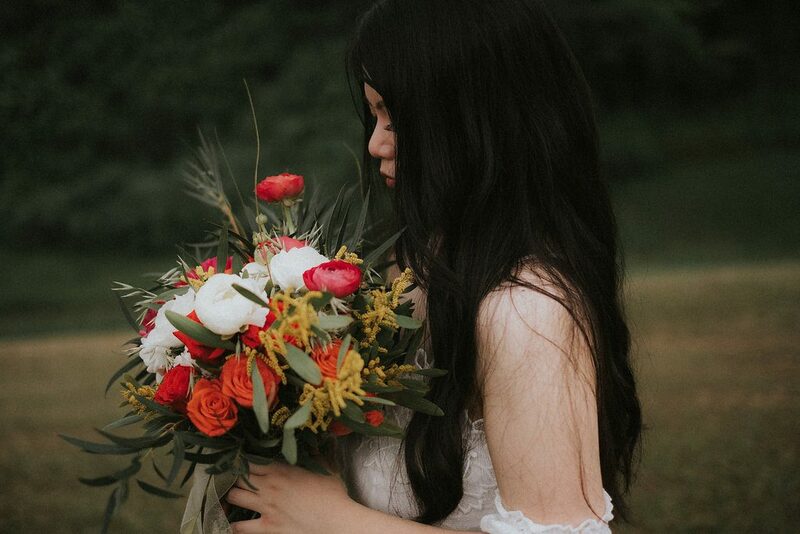 Jiayan gave me all the freedom to choose and create, limiting me with only the theme, “something rustic!” I couldn’t resist taking advantage of the ranunculuses that were in season. 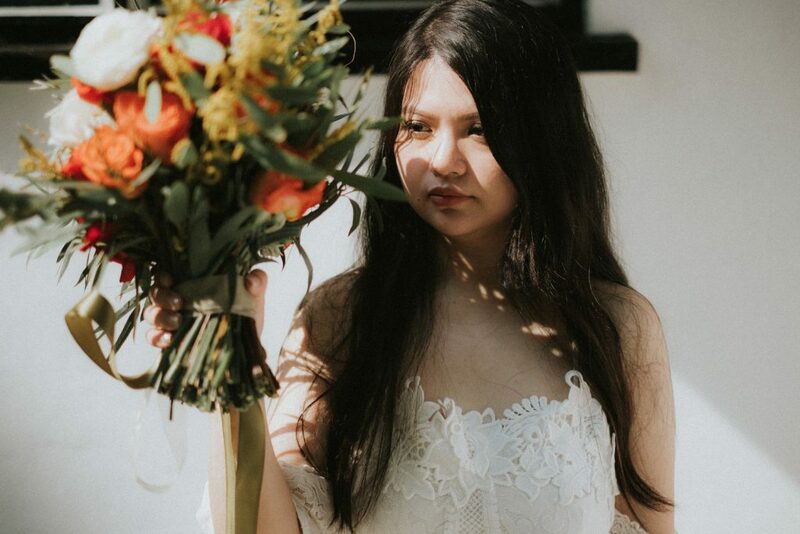 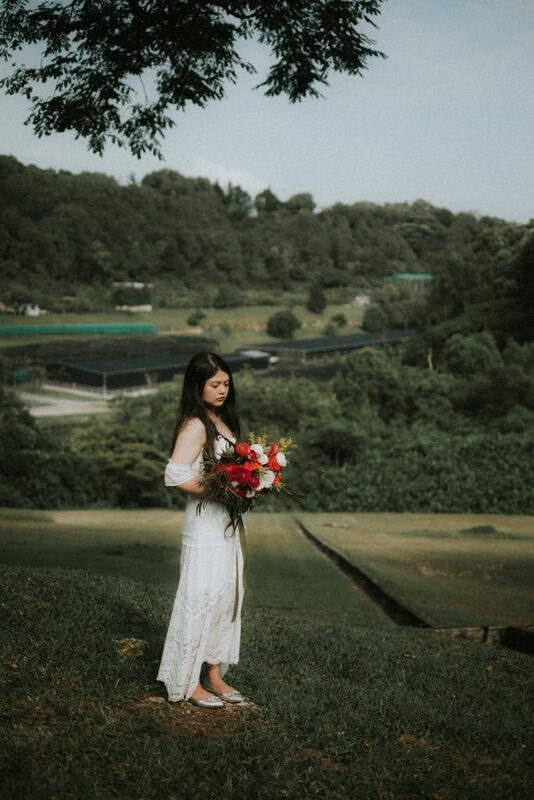 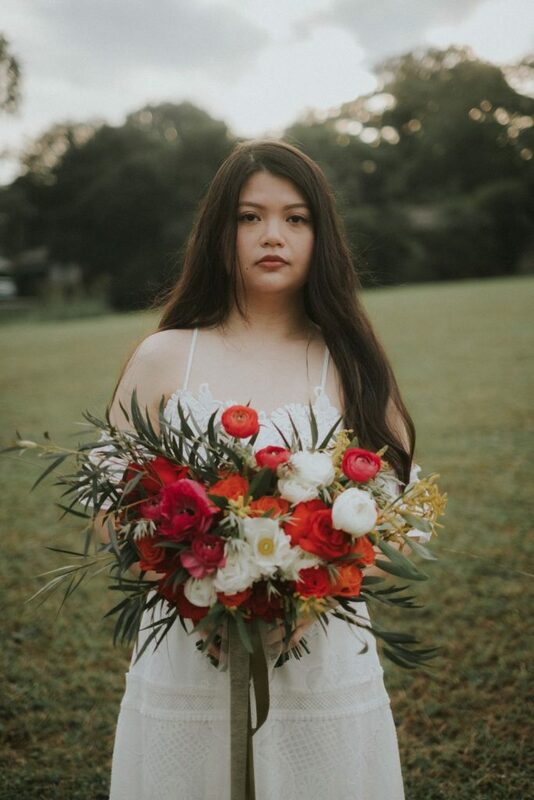 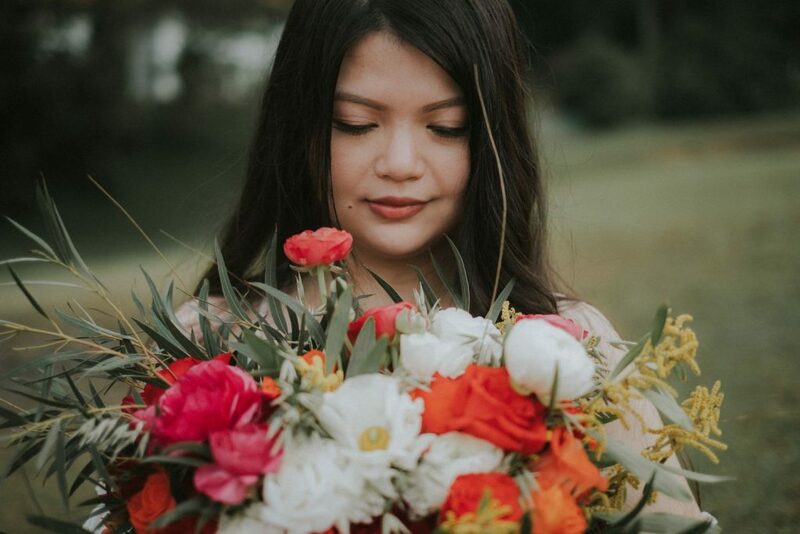 The huge multi-petal gorgeousness used here resemble poppies – flowers that I miss bitterly here in Singapore.Three different types of ranunculuses were used to create this rustic arrangement. 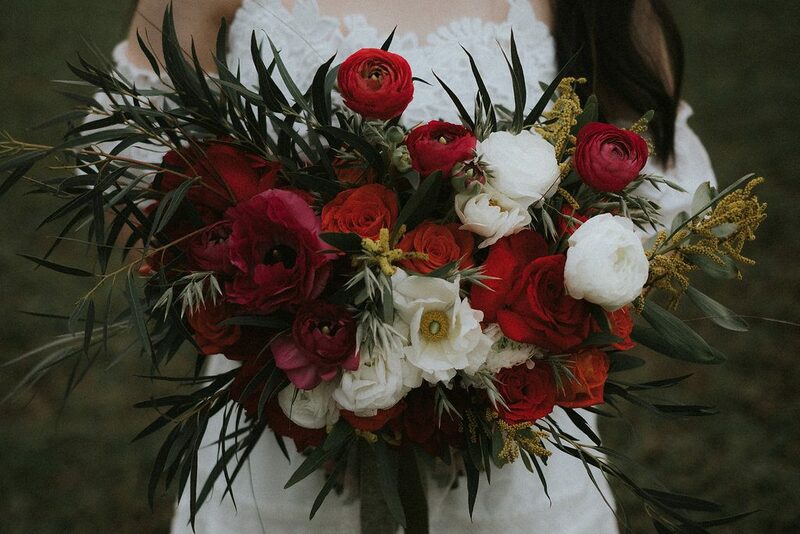 Together with roses, dahlias, mimosa (how much I love this one! 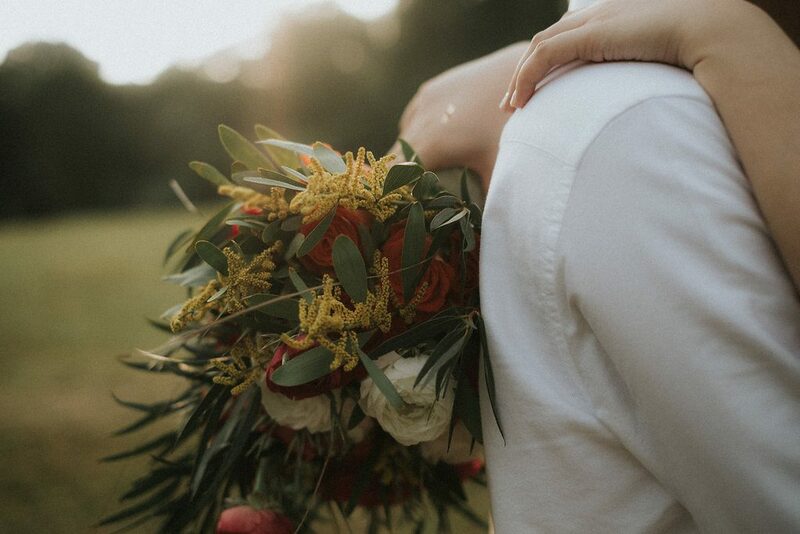 ), eucalyptus, barley and berries, this bunch looks airy, light and country-like, as if they were just gathered from the field. 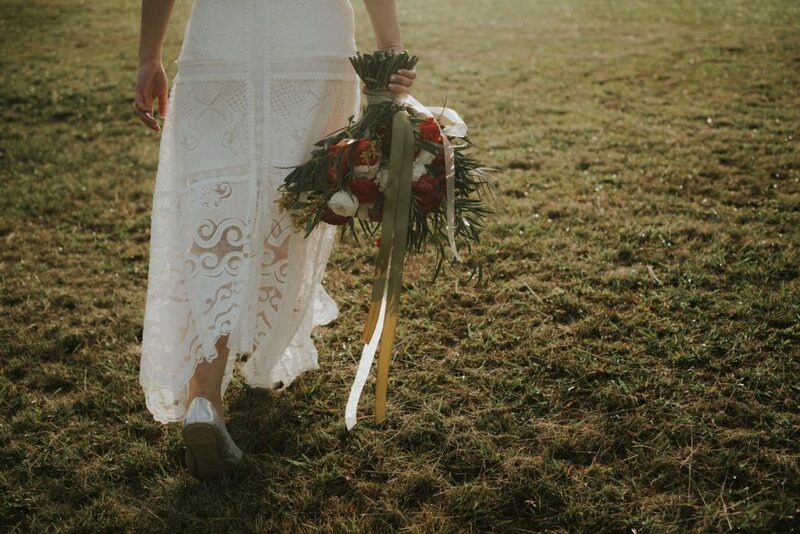 Evening sun, loose hair, soft lace, naked shoulders – the essence of a free-spirit!